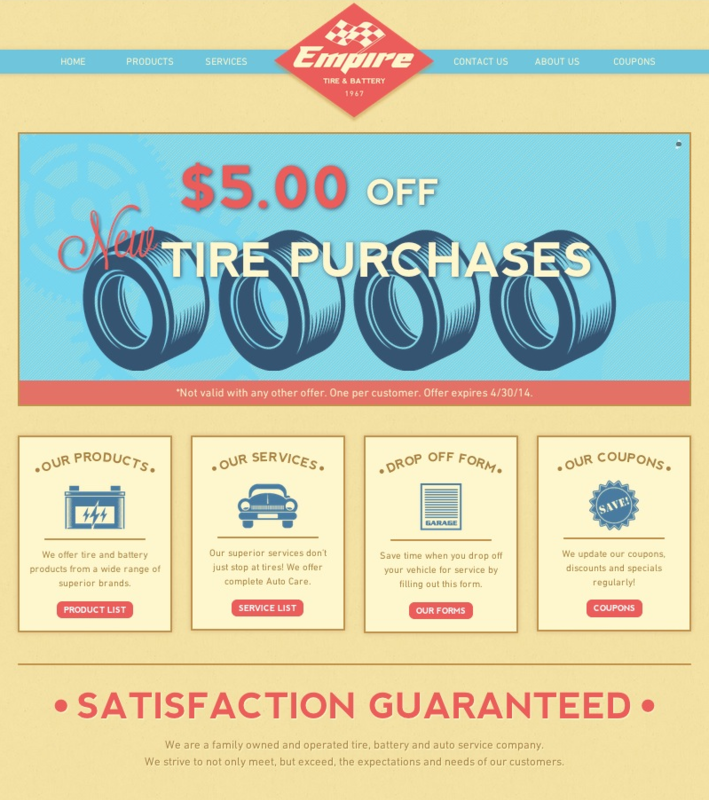 Empire Tire & Battery contacted me to help them design a new site for their Chicagoland based business. 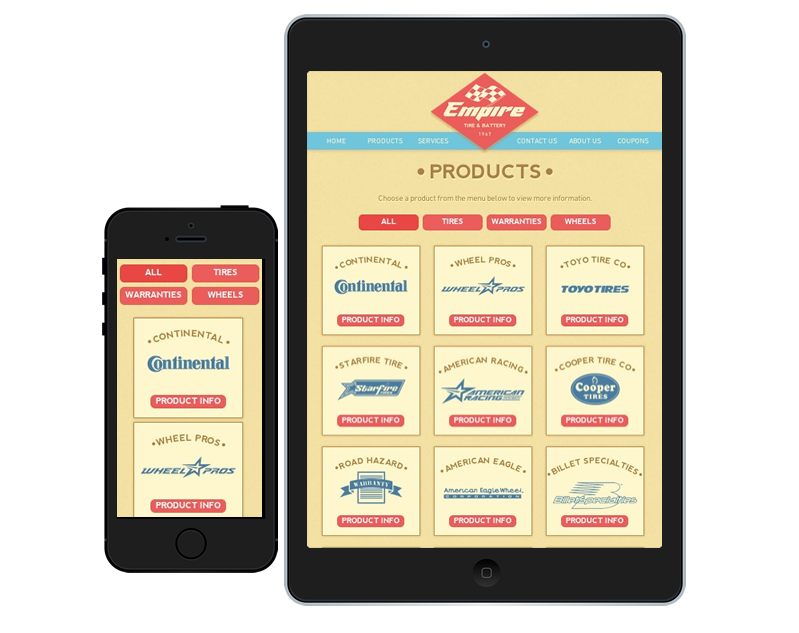 They wanted the site to reflect their history as a family owned and operated business, founded in 1967. We decided to go with a retro theme to represent the era in which the business first started, adding some interactive UX elements that play into this theme as well, like the “newspaper” animations on the product page. 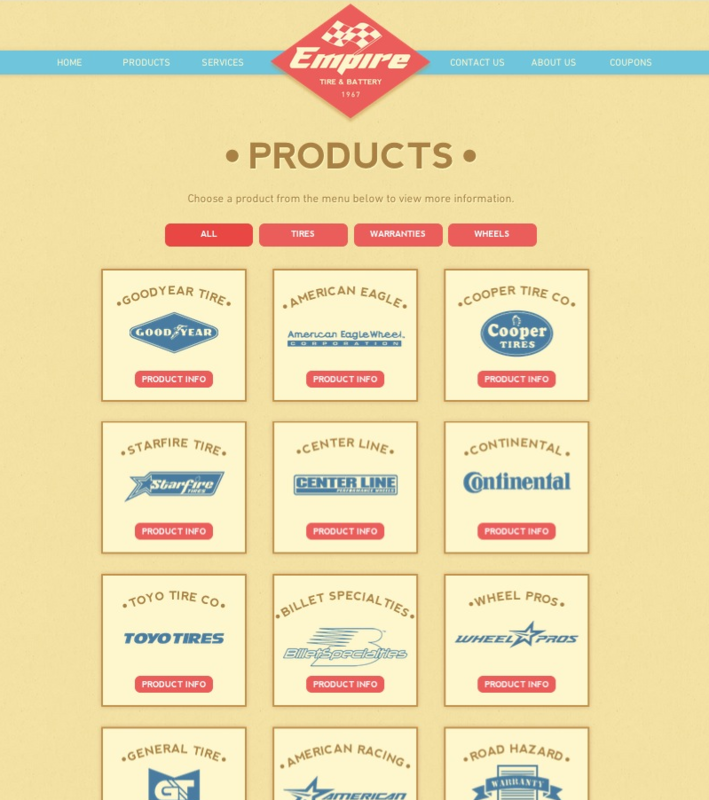 The design for Empire was coded into a custom WordPress theme (HTML5/CSS3/PHP). 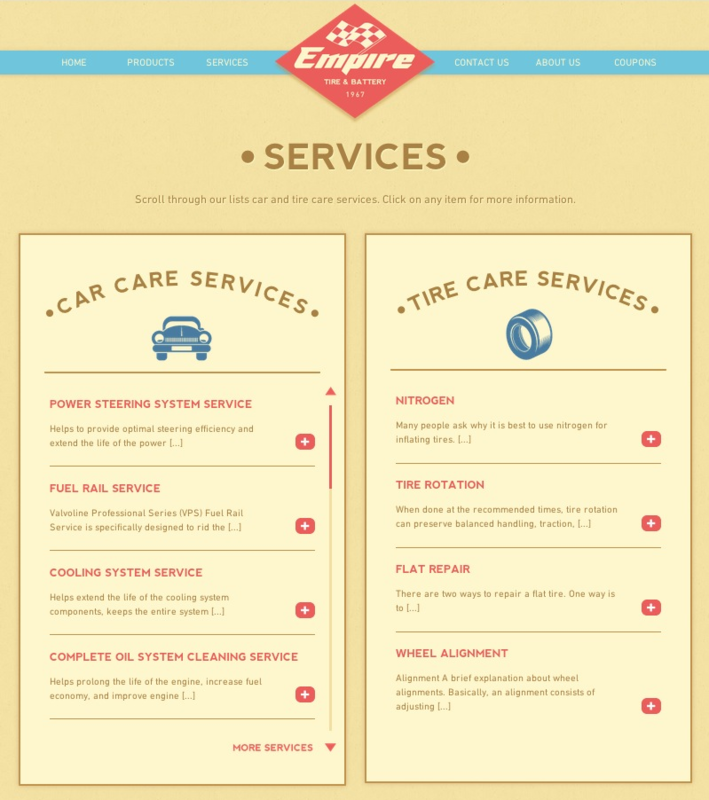 Empire has the ability to manage their own content, adding things like pages, projects, services and coupons at their leisure. 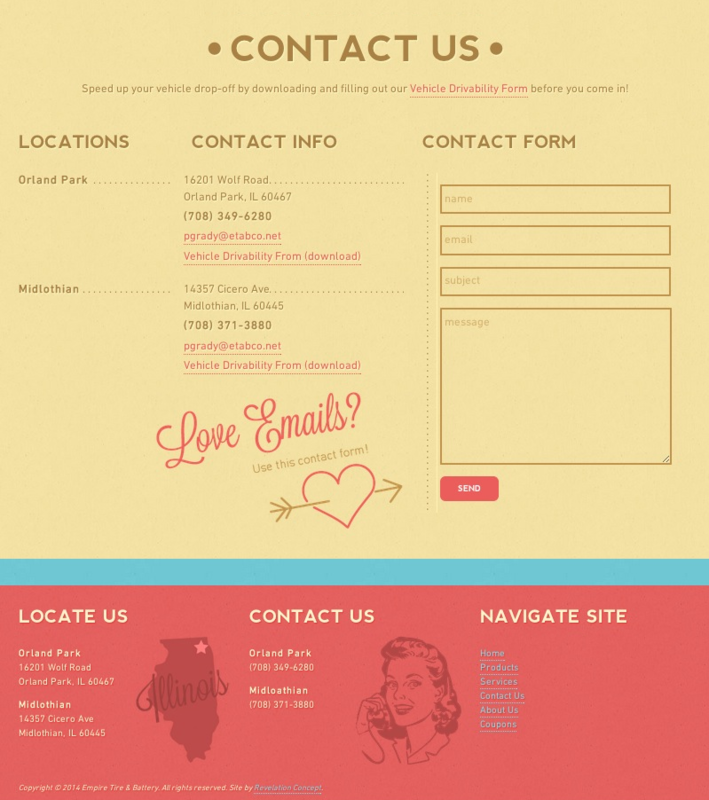 They have a fully customized admin area that was built to their needs as they relate to the website’s content.